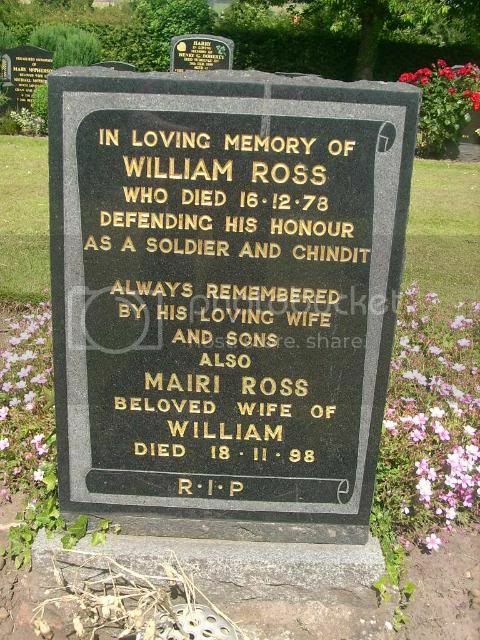 Unit Text: 'C' Bty., 4 Regt. 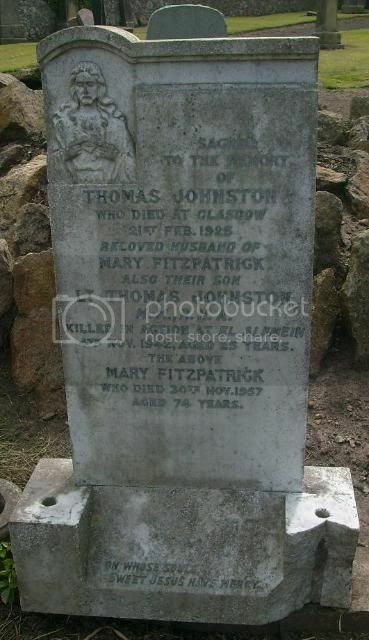 Additional information: Son of Thomas Johnston, and of Mary Johnston, of Edinburgh. Sacred to the memory of Thomas Johnston who died at Glasgow 21st February 1925 beloved husband of Mary Fitzpatrick also their son Lieutenant Thomas Johnston MM RHA killed in action at El Alemein 4th November 1942 aged 25 years the above Mary Fitzpatrick who died 30th November 1957 aged 74 years. 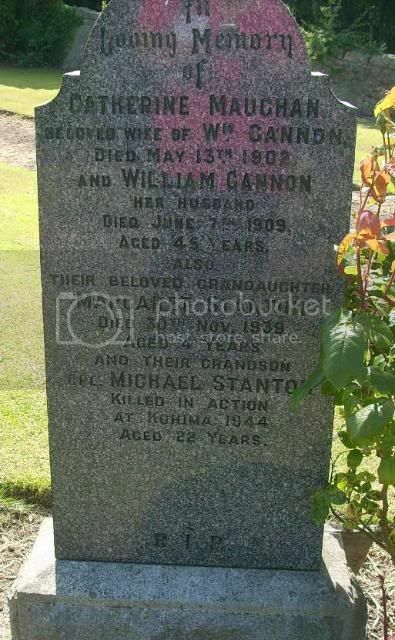 Additional information: Son of John and Catherine Gannon Stanton, of Haddington, East Lothian. 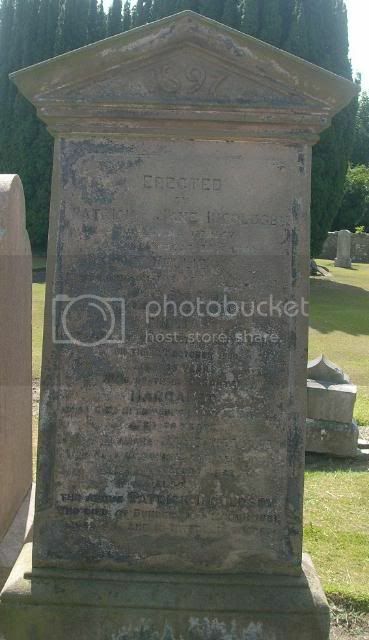 Erected by Patrick and Jane Ingoldsby in loving memory of their dear daughter Nellie who died on the 14th May 1897 aged 21 years, also of our dear son Thomas who died at Vladfontein South Africa on 12th October 1900 aged 35 years also their daughter Margaret who died in Edinburgh 24th January 1902 aged 26 years also the above Jane Ingoldsby who died at Dundee 25th December 1912 and interred there also the above Patrick Ingoldsby who died at Dundee 10th March 1921 aged 84 and is interred there. 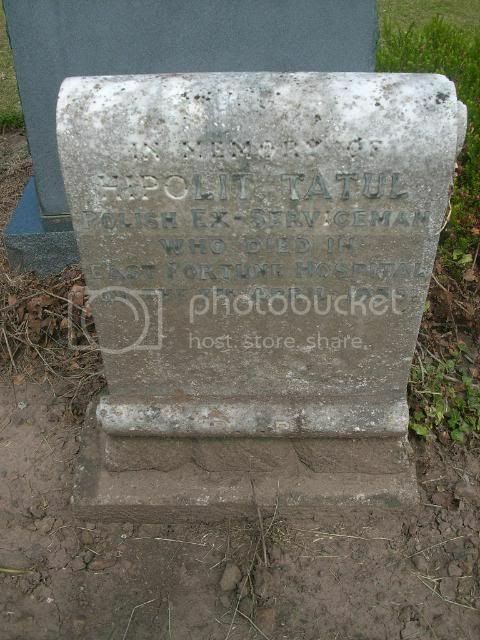 In memory of Hipolit Tatul Polish Ex-serviceman who died in East Fortune Hospital on the 7th April 1956.